another josh lunch spot that i frequently hear about is mezza grill on the pedway. (which, by the way, still weirds me out. i didn't know about this whole underground network until about 2 years ago ... weird.) anywho -- me & le bébé decided to take a trip to the loop & check it out with josh for lunch one day a while back. falafel, brown rice, hummus & fresh tomato salad. not going to lie ... this was good. not great. 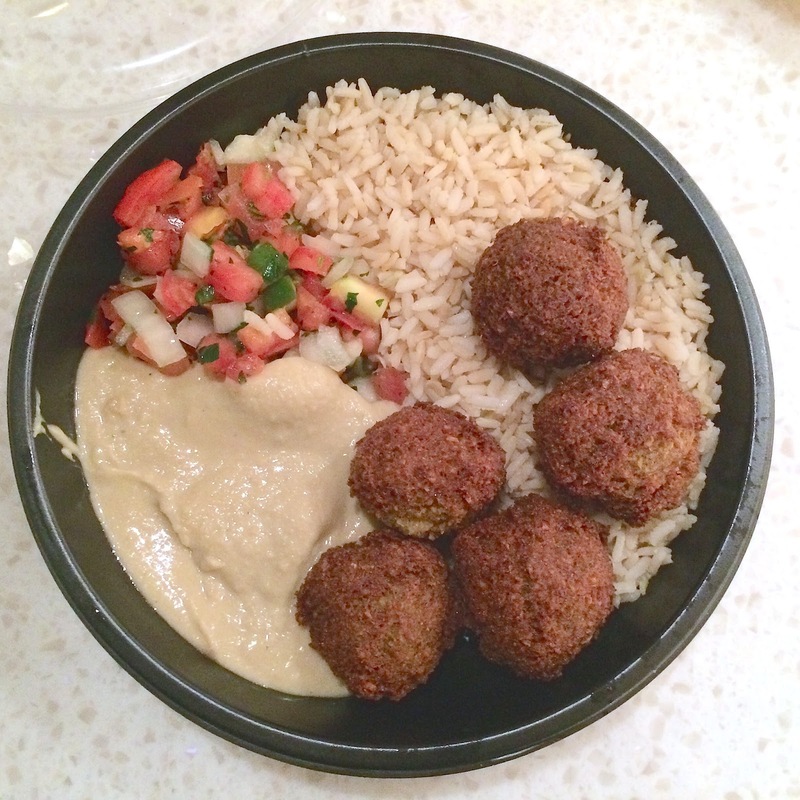 i used to be convinced that every mediterranean place in chicago sourced their falafel from the same delicious vendor ... except mezza. they need to get on the same level as the rest of the city. hummus also fine ... tomato salad? delicious!! i'm glad to report on all of these lunch places in the loop that will hook a vegan up ... maybe it was just me or maybe mezza was having an off day ... but they're certainly worth checking out.